The 2015 Terre di Corzano is an excellent rendition, sour cherries are wrapped in dried herbs, a hint of earth, supported by those edgy tannins that work just so well with food. As with all good Chianti there’s a lovely line of mineral acid balancing it beautifully. The core of fruit has an almost creamy character. 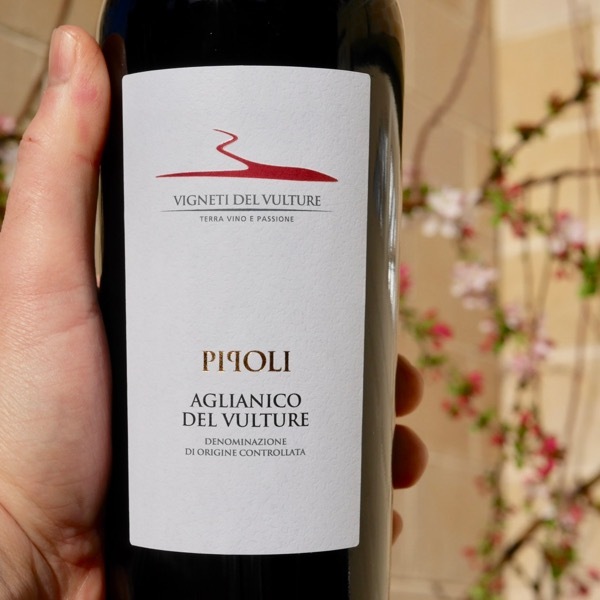 90% Sangiovese co-fermented with 10% Canaiolo, all hand-harvested from Corzano’s rocky, south-facing slopes, and aged in a combination of large 25 and 40-hectolitre botti casks (still very rare in Tuscany) and older barriques. 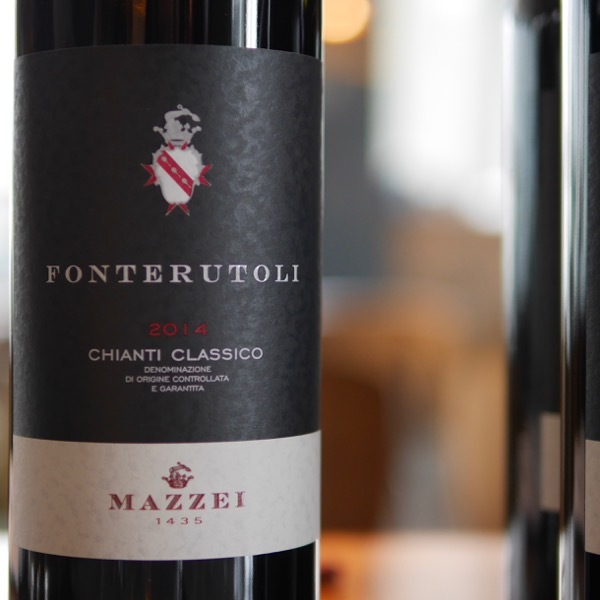 From a generous Tuscan vintage, this is a gorgeously pure and vibrant Chianti that speaks loudly of the Florentine hills where it was grown. 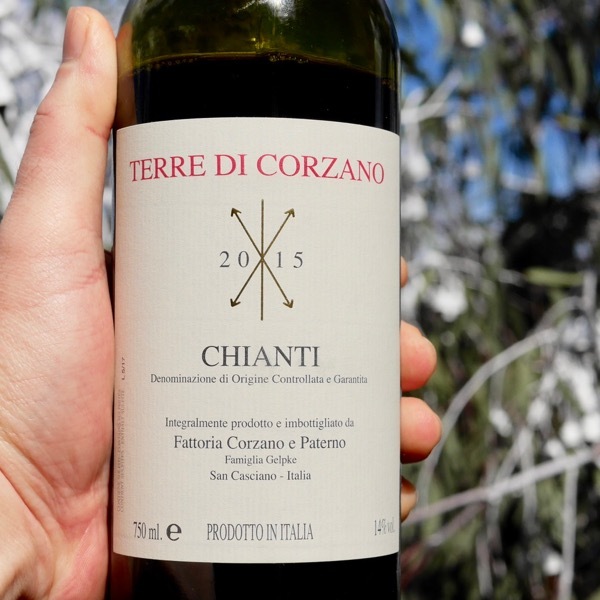 Corzano is the quintessential artisanal Chianti estate. Burgundian in size, it is run as a bio-diverse, organic, self-sufficient farm. 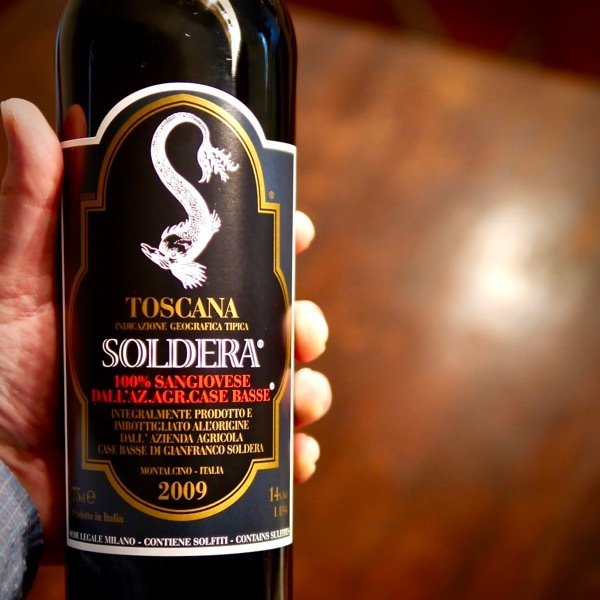 In the bohemian Aljoscha Goldschmidt we have a producer who crafts a small production from his approximately 15 ha of rocky, hillside vineyards in San Casciano in Val di Pesa, roughly halfway between Florence and Siena. A brilliant viticulturist, relentless in his belief in “typicity”, Goldschmidt makes beautifully vibrant, juicy and elegant Chianti that are simply some of the best in the Colli Fiorentini. Aljoscha (or Joshi) loves to do everything by hand, making him very unique in the Tuscan wine scene. Here, consultants with new oak and viticultural gizmos are not welcome, and stately buildings, manicured gardens and tourist trap paraphernalia are replaced by a naturally beautiful working farm in the hills, studded with ancient buildings that have been tastefully maintained (you can rent these farmhouses, an option that we very highly recommend!). The winery has just what is required to make pure, expressive wines – including some large format oak (a rarity in Chianti). 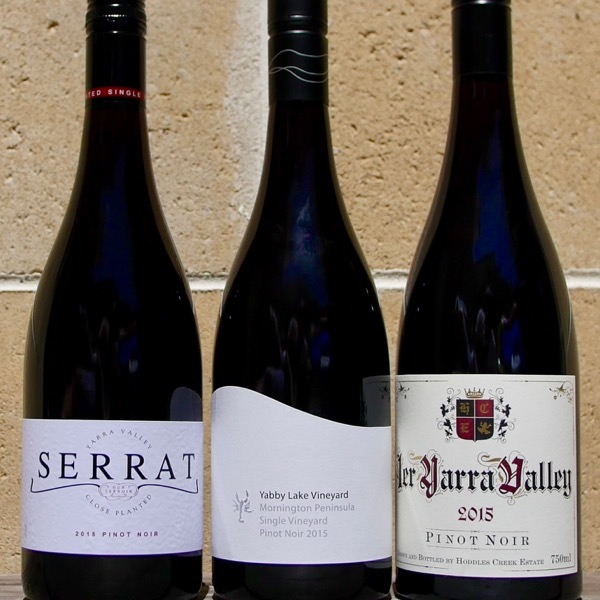 The wines are fashioned from ripe, juicy Sangiovese with a rare patience and a kind of pastoral serenity. They are complemented by some of Italy’s finest Pecorino, made from the estate’s own Sardinian sheep. In fact, in Italy, Corzano is as well known for its cheese as it is for its wine and supplies many top Italian restaurants. Corzano also produces one of Tuscany’s most intense small batch olive oils. In fact, everything the Corzano e Paterno farm produces tastes fresh and delicious, and everyone who works at the estate exudes both a sense of purpose and a down to earth, unpretentious, bucolic warmth which comes through in the products of this communal style farm. Visiting there and staying on the farm, you get the impression that produce is solely being created to cater for the collection of craftsmen, artists and artisans who inhabit the Corzano estate.